Made from zinc alloy with a matte chrome finish. Sturdy push button mechanism allows for quick adjustments, while the red spindle can be used for more finite adjustments. 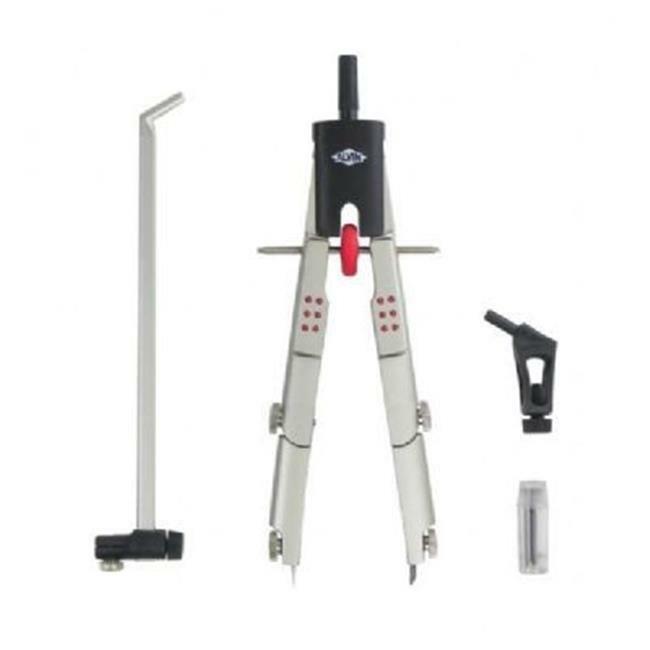 Features a double break leg for precise execution of circles up to 12 inch in diameter. Includes replacement lead and universal pen adapter. Packaged in a hard, see-through plastic case.